I am a Twilight junkie. I have read all the books, seen the two movies and even have a small collection of Twilight inspired jewelry. My Facebook personal profile picture is me morphed into a Twilight vampire. Am I bit obsessed? Maybe, but I am not the only one! Eclipse is coming out very soon and I am so excited to see it (it was my favourite of the saga). Stephanie of the Etsy shop, Last Day of Forever Designs, is also a HUGE Twilight fan and many of her designs are inspired by the books and the movies. 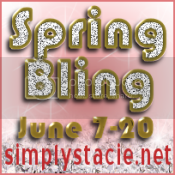 I love her style of jewelry and how she uses crystals and gemstones throughout her designs. She describes her work as “jewelry with fantasy, whimsy and a bit of mystery” and a “vintage flair”. I wholeheartedly agree and invite you to see for yourself. 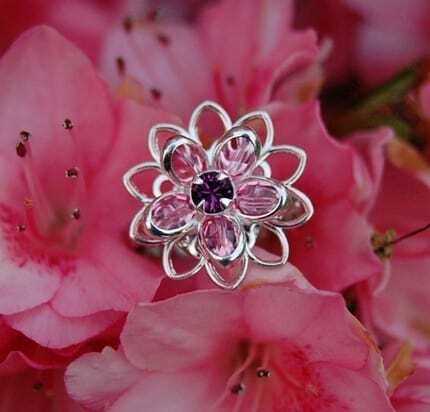 Bracelets, Charms, Necklaces, Lockets, Rings are all there just waiting for you to buy the one calling your name. 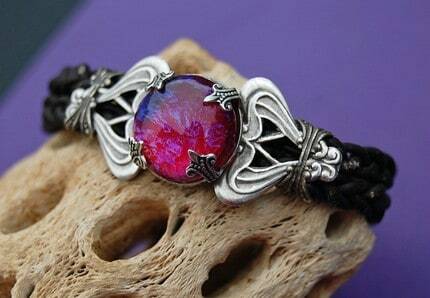 I am drawn towards the Fire Element Leather Lace Bracelet as I am an Aries and think it is just so beautiful. Stephanie sent me a pair of Isle Esme Earrings to review. 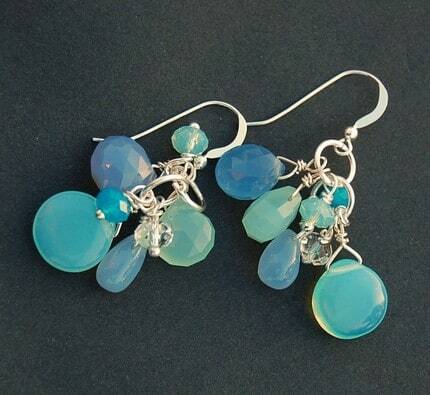 They are a mix of blue and green gemstones to give that ocean feel. The actual stones are Blue Opalite and Blue and Aqua Chalcedony and they are topped off with oceanic swarovski crystal beads in pacific opal, Caribbean blue opal and crystal. Wow! I love the beautiful soft colours of the crystals and how they really bring out the colour of my eyes. They dangly and the perfect length for me. Stephanie always does such impeccable work and this time was no different. She makes both gorgeous creations and the attention to detail and effort she puts into work shows by the quality. These earrings will be worn lots this summer. They sell for $26. Last Day of Forever Designs is a shop to add to your bookmarks or Etsy Favourites because you will want to visit it again and again. as I am a huge fan of necklaces, I immediately looked at the range of necklaces and I fell in love with the “howling at the moon” necklace, this is the most beautiful thing I’ve seen for quite some time! I like the Nature Necklace…cute stuff, thanks. is my favorite piece of jewellery. But I really like the uniqueness of all the jewellery on this site. Skyline Dragonfly Earrings – by TwilighterVA are really cute. I like the Earth Element – Leather Lace Bracelet – by TwilighterVA. Im just in love with the Forks Fern Pearl Bracelet! I love the Victorian Steampunk Necklace. Love the Robin’s Egg Czech Glass Earrings!